This entry was posted on Thursday, June 20th, 2013 at 2:09 pm	and is filed under Development, General. You can follow any responses to this entry through the RSS 2.0 feed. You can leave a response, or trackback from your own site. You got into very nice details regarding border curves. That’s called perfectionism. Hi there, I found your web site by the use of Google while looking for a related matter, your website came up, it appears great. I have bookmarked to my favourites|added to bookmarks. Great work. It’s BS that apple doesn’t just make this available to devs– instead all of us are running around blind, wasting our time trying to figure this crap out. Thank you, your work is very much appreciated. This is an example of how an industrial designer has made his mark on a UI. The corners are not a geometric radius and so an exact radius cannot be calculated. This is a bezier curve and is almost certainly an example of ‘curvature continuity’, whereas the old icons used ‘tangential continuity’. This is something used all the time in surface modelling (industrial design) to avoid ‘sharp’ or visible transitions in geometry and, in basic terms, results in the shape looking smoother or more organic. Rocket science over piece of Apple-crap. – WTG! Time well spent! Paul Daniel has the right phenomena, but it’s not an ID exclusive thing. Graphic designers, especially typographers, are also familiar with these edges and the steps needed to correct for them (though the term of the phenomena on GD is “boning”). Apple should have just left the icons alone. Period. This isn’t like a refresh of their logo (nod to Yahoo), where they do all the replacement work. This is modifying a fundamental archetype of the iOS system itself which directly and negatively impacts hundreds of thousands of developers. Let’s face it, 99.9% of user don’t and won’t notice any change (unless you force them to see it with flip animation). But it makes it hell for all Apple developers to make such a useless change for an inconsequential benefit. Its not as if the “recommended” icon set wasn’t already bloated enough. And rather than simplifying it (isn’t that what Apple is claiming to do? ), they make it worse by bloating apps even more. Let’s be real, the only reason they did this crap was to force all app makers to “redo” all their icons in the new Apple preferred style. That’s it. They knew that devs would see their beautiful iconography suddenly having tiny line artifacts and a screwed up radius around their carefully designed edging treatment. 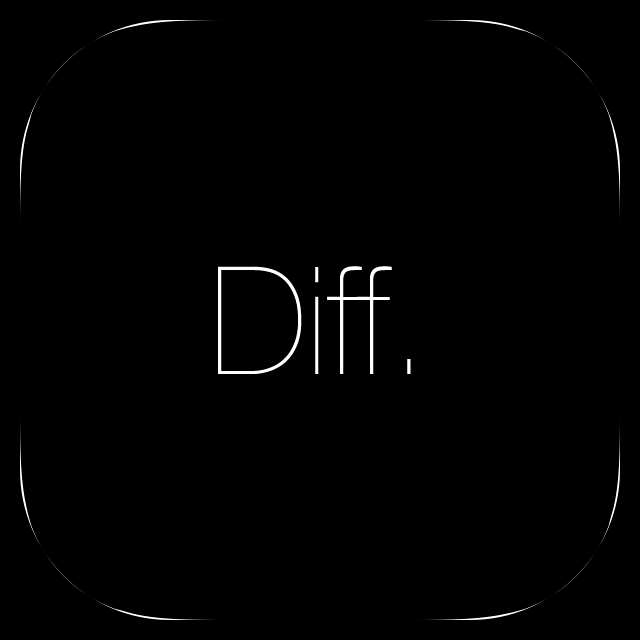 So Apple messed with both the size and the radius just enough to force devs to make changes. 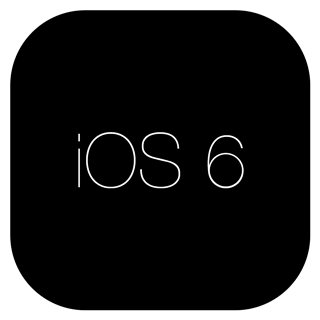 Their motive was clear – devs would predictably think: “well heck, why don’t I just redo my icons in the “new iOS 7 minimalist style” at the same time, since its such a pain to change them”. And Bingo! Jony gets what he wants. 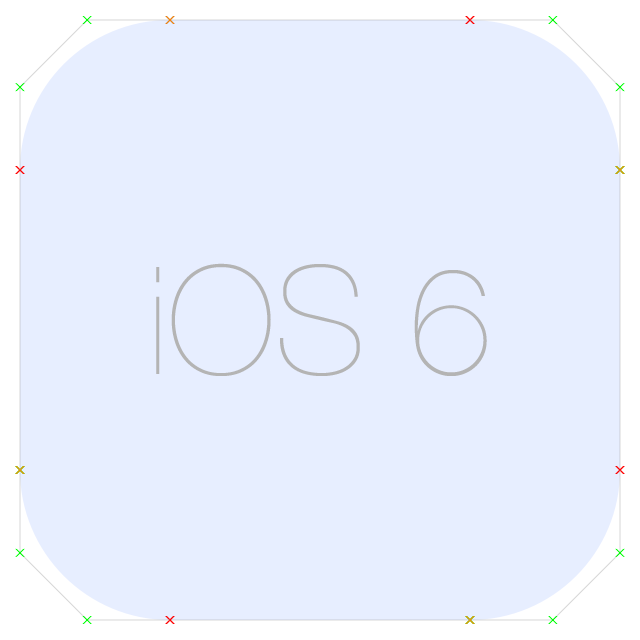 Namely, that all developers change their icons to remove gradients, patterns, shadows, edging, and skeuomorphism. Brilliant right? No. Painful and disrespectful to their loyal design community. Its already clear to many that the iOS 7 revamp will be regarded as a low point in the history of Apple, on par with the previous post-Jobs era. This is the real meaning I completely agree, although it still leaves the design change interesting (and perhaps almost iconicly “apple-ey” in nature) given the level of thinking behind it. – the point where the curves intersects the 45 degree line drawn from the centre. 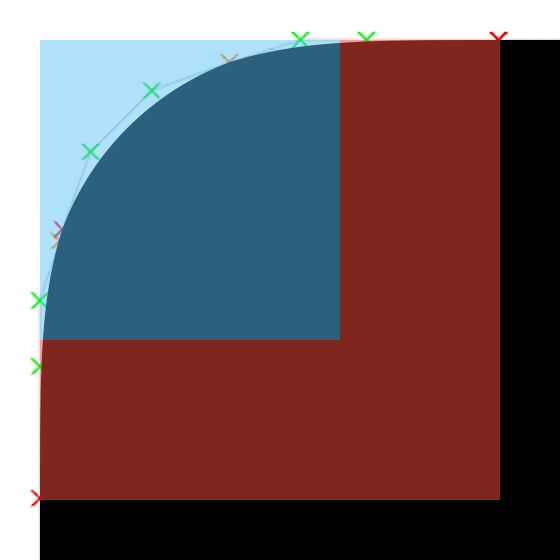 Extending the grid using the ratios mentioned above perfectly establishes two more points through which a line of best fit can be drawn, e.g., a Bézier curve. BTW. 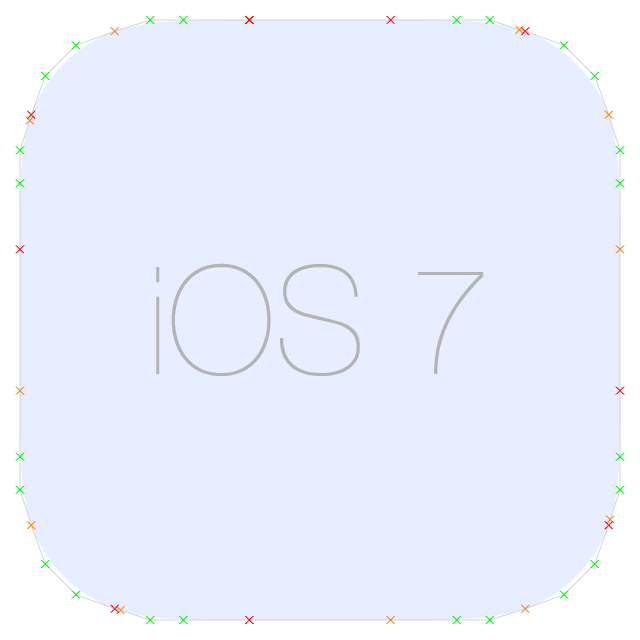 You might recall in Apples animation, a series of dots superimposed on the curve. If you draw a line from each dot to the centre, the lines a 3 degrees apart. It’s probably just a misleading bit of artistic license by the animator and doesn’t mean anything. It makes sense that an industrial design created this grid. You only need a compass and straight edge to recreate it; complex algorithms are not required. Don’t overthink it, it’s not that difficult. I’m not really getting the same results as you are.